Our ticket pricing for PSEC 2019 has been responsive to the tight budgets faced by many schools. Options for delegate tickets are detailed below. All tickets are inclusive of lunch and refreshments. Tickets for the Awards Dinner must be bought separately. PhD students are also eligible for the teacher rate tickets. 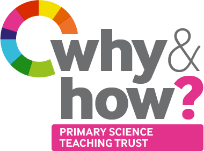 In order for us to extend our support to teachers after the conference, each teacher delegate ticket includes access to a further one-day CPD event run by the Primary Science Teaching Trust for which there will be no charge. These follow-up events will be delivered by members of our Primary Science Teacher College at different locations around the UK. During PSEC you will be able to register your interest and we will communicate CPD options to you after the conference. Interested in attending our Awards Dinner, on June 6th, 2019? Tickets to the event are being sold separately on Eventbrite. Click here to find out more. Awards Dinner tickets will include a drink on arrival, a three-course meal with a glass of wine, a tour of Dynamic Earth’s interactive galleries, and post dinner entertainment. You can now download our Programme Preview which gives details of themes, keynotes and session titles. Which ticket should I purchase? This ticket can be purchased by teachers and teaching assistants employed by a UK school. You must provide the name of your school for confirmation purposes. This ticket can also be purchased by PhD students. On arrival at the conference, PhD students will be asked to show proof of status (student ID). Without this, you will be charged for a standard rate ticket. This ticket should only be purchased by trainee teachers. You will be asked for proof of status on arrival at the conference. This ticket should be purchased by members of other organisations, including HEIs and home educators. Find out more about our conference programme. Find out more about our bursary scheme to support teacher attendance at the conference.